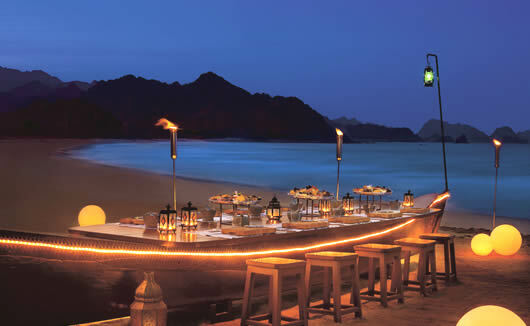 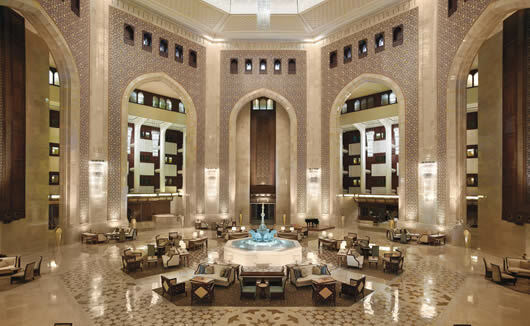 Al Bustan Palace is a Ritz Carlton Hotel, a 5 star luxury resort set in a stunning location wedged between the Al Haiar Mountains and the Sea of Oman. 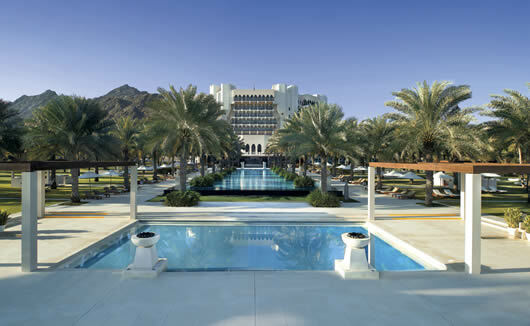 With incredible natural surroundings and more than half a mile of private beach to explore, Al Bustan Palace can offer a relaxing and unforgettable holiday experience in the port capital, Muscat. 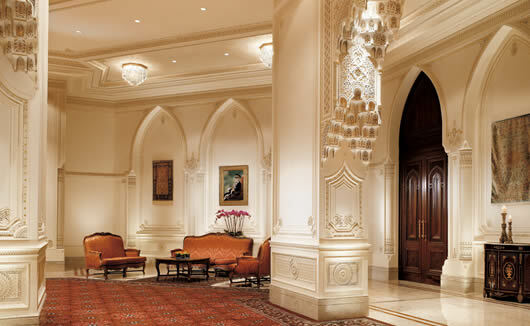 It is also ideally located close to the Al Alam Palace, Muscat Gate Museum, the Royal Opera House, Omani French Museum and the bustling Downtown Muscat. 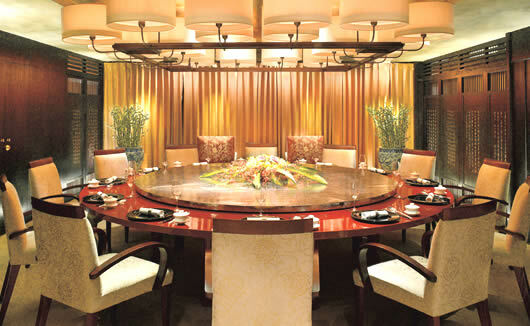 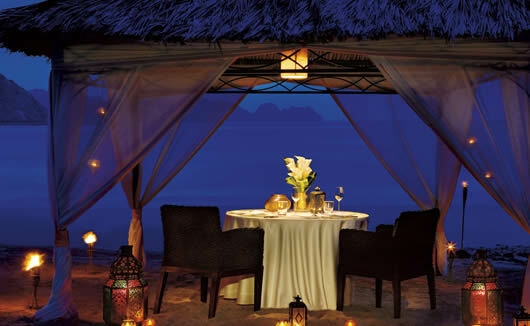 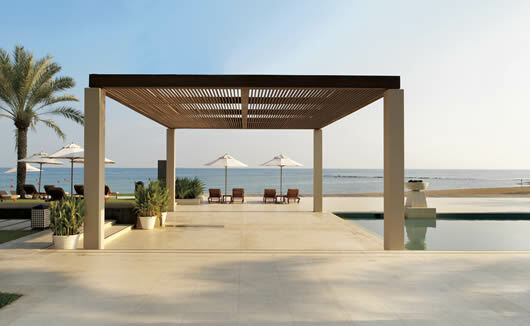 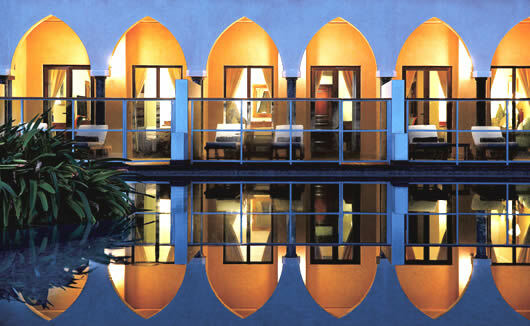 Within the resort, you can rejuvenate your senses at the Six Senses Spa, get a full body workout in the state of the art gym, or relax with a casual evening meal at the Beach Pavilion Restaurant or gastronomic delights at Al Khiran Terrace. 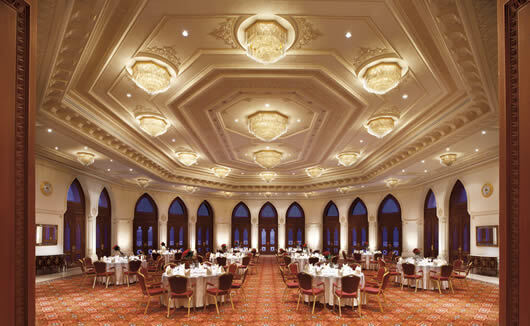 Al Bustan Palace hotel also offers an exclusive Ritz Kids Club for families travelling with children. 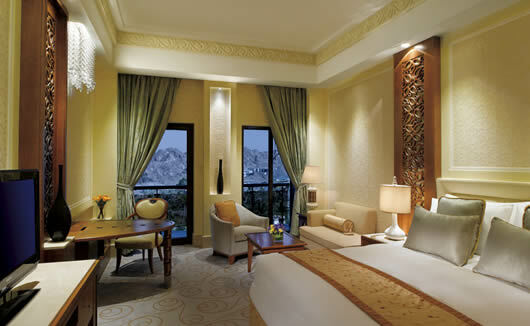 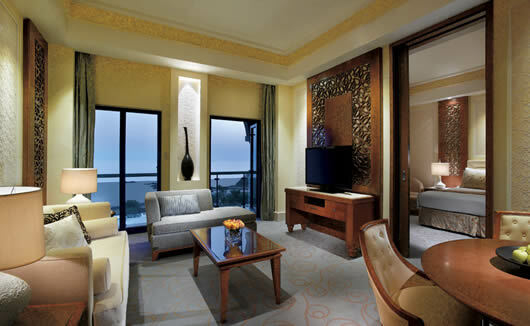 All rooms and suites at Al Bustan Palace in Oman are designed to be simple, classic and elegant.